Recently, Josh Lavik & Associated was featured in the Wisconsin edition of Top Agent Magazine. In fact, Josh was featured right on the cover. An entire story can be found right in the middle of the issue explaining how Josh got started and built the business up to where it is today. The evaluation process is rather stringent and to be chosen as the feature of the Wisconsin edition is a huge honor. Josh and his team at Josh Lavik & Associates were chosen for many reasons. Josh has been on two episodes of House Hunters from HGTV and was named to the Top 40 Under 40 list for business professionals in the Madison, WI Area. In addition, he started small and built to a successful real estate firm with Keller Williams Realty. The holistic approach Josh Lavik & Associates takes towards real estate is another reason for the magazine's decision. Josh strives to ensure every client receives the best possible service, regardless of how challenging the listing or negotiations may be. 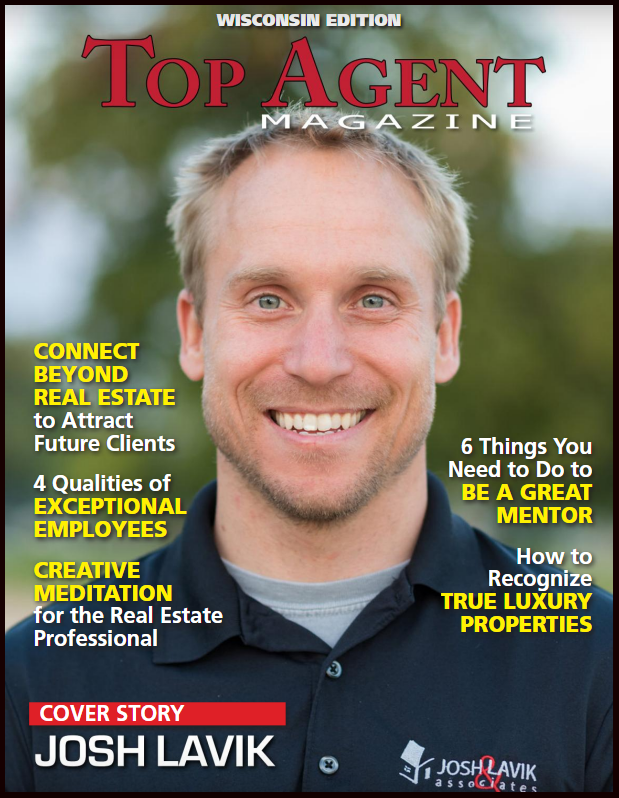 Find the entire article about Josh Lavik in the Wisconsin Edition of Top Agent Magazine here.